If Driving is a lesson, then parking is an important syllabus in it. It is really tough to park our vehicles in congested area with more obstacles. We need some logical skills to park our vehicle more efficiently and meanwhile with out affecting other vehicles on parking lot. How it could be? If we have some training to do parking efficiently. Yeah, it will be definitely good and fun. 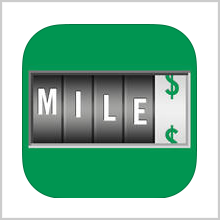 By having this in mind, Hill stone animation studios has designed an iphone game named, Park In, which is all about these efficient parking concept based on boats on a lake parking lot. The game is intended to improve the logical thinking of the player. 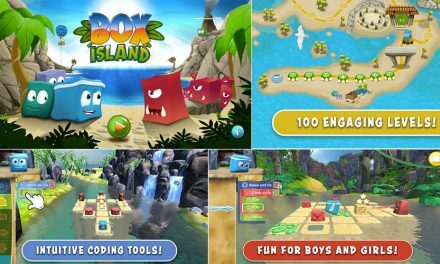 A mini game with lots of fun and challenging levels. 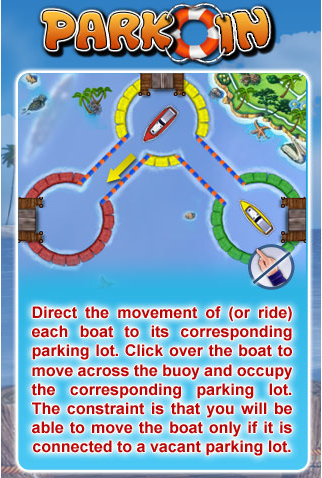 In Park in game play, there are 3 or 5 boats are in lake and player need to park it on its corresponding parking lot. Boats are identified with colors of its parking lot. 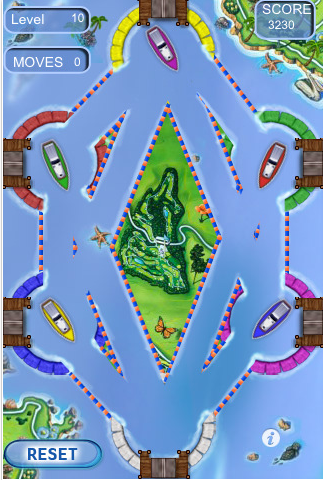 Boats and parking lots have the same colors, so that player can easily understand about which boat have to be placed in which parking lot. By simply touching the boat on finger, we can direct it to its lot. Player has to use minimum moves to park a boat where he needs to use his logical mind. The constraint is that a boat can be parked at only a empty parking lot. The game has nearly 25 challenging levels to park the boats and need sharpen mind to solve the puzzle on the game. Cool graphics and back ground images of the game play adds more value to the game play. 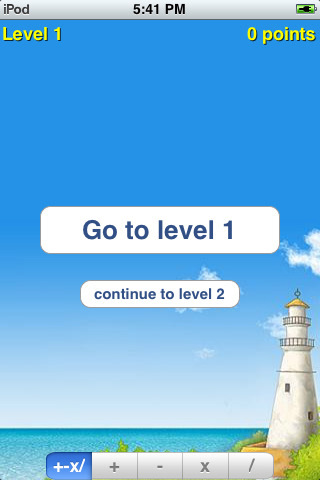 Worth buying and playing game is available in tunes for iphone, ipad and ipod touch devices. 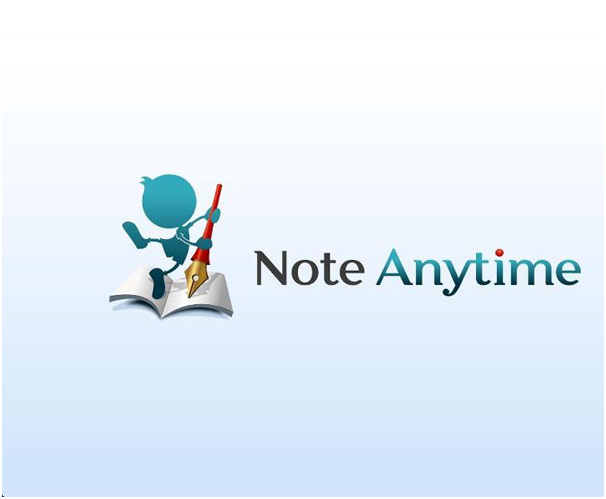 Get it for $0.99 and have more fun.